The message warned that her computer had been infected with a virus and information had been stolen including login password for Facebook, credit cards and email accounts. Rockwood received this message on her computer. She didn’t fall for it, but got scammed anyway. Unsuspecting victims are tricked into handing over personal information in response to phone calls, emails or pop-up advertisements from cyber criminals posing a computer technicians. Rockwood was skeptical of the threat, so she didn’t call the phone number on the pop-up ad. Instead, she used her iPhone to search for a tech support company online. The company called Tech Vision America had a website and seem legitimate. Customer support was quick to warn Billie that she had a problem and it was bad. “They said I’d been hacked and it happens and they’re criminals,” explained Rockwood. What Rockwood didn’t realize is that cyber criminals often place ads online to persuade you to call them. They pay to boost their ranking in search engines. Often, these phony websites appear above legitimate companies. “I trusted them, I really did,” explained Rockwood. A customer support representative at Tech Vision America walked Rockwood through a series of steps that gave him remote access to her computer. At the time, Rockwood didn’t realize it but the man on the phone wasn’t fixing her computer. He was snooping around, looking for valuable information. Rockwood notified her bank and warned them to be on the lookout for fraudulent activity. When contacted by KGW, a representative from Tech Vision America was not able to verify that the company had a business license, a valid address or could answer basic questions about its business practices. The Federal Trade Commission has warned about tech support scams. 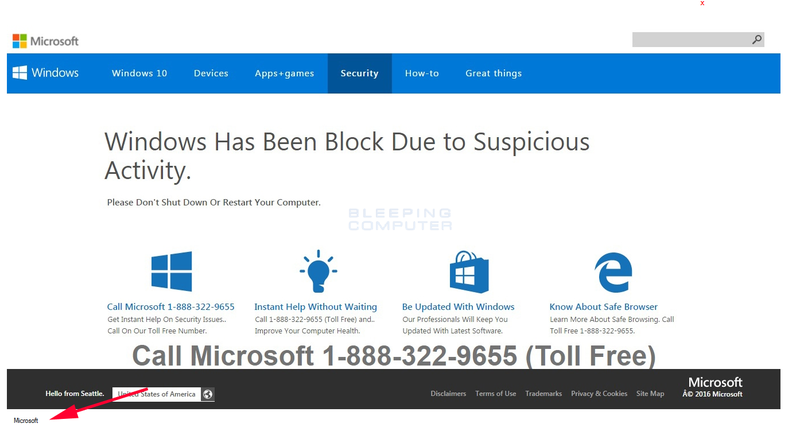 Last year, Microsoft’s Digital Crime Unit estimated nearly 3.3 million people were victimized by computer support scams. The fraudsters reportedly raked in $1.5 billion. Gene Gratton of Metro Computerworks in Portland says cyber criminals often rely on pop-up ads to try and fool customers into thinking something is wrong with their computer. “The truth of the matter is Microsoft never calls you or keeps track of what you are doing,” explained Gratton. In many cases, the scammers try and trick people into buying software they don’t need. “It’s almost like mafia protection where we heard an associate of ours is attempting to harm you and if you pay protection, we’ll keep you safe from all of this stuff- when none of it is true,” said Gratton.